Discussion in 'Forza Horizon 4' started by GTPNewsWire, Sep 12, 2018. 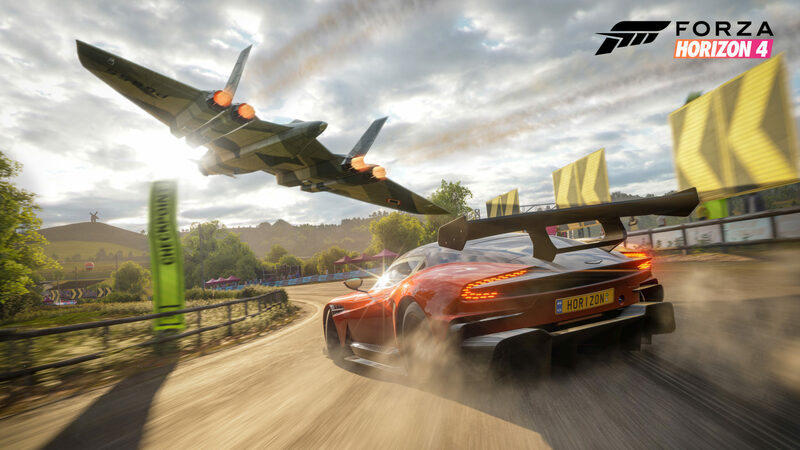 This article was published by Kyle Patrick (@SlipZtrEm) on September 12th, 2018 in the Forza Horizon 4 category. KiroKai, Ameer67 and KayX23 like this. I can only thank the gods of gaming that he didn't decide to use that Three Lions song in promotional movies. VXR and ferhound like this. They also didn't get Avro license. Apple Slipper, Populuxe Cowboy, ferhound and 1 other person like this. Maybe in order to keep their G rating, they can't show real military equipment or something. Licensing has been interesting in this game. I am quite sure they don't need to do any licensing to depict a plane that looks like a Vulcan (as long as they don't refer to it as one)... I mean, we are talking about a plane that's going for 70 years of age. And undoubtedly any necessary variation could've been more subtle. I don't think PG wouldn't be able to model an Aermacchi MB-339 or... Whatever thing the jump jet is based on, with a satisfying degree of accuracy. So maybe their choice to go with a more cartoonish look has to do with ESRB ratings, rather than licensing issues?